Ready to get eyelid surgery in Phoenix? Are you suffering from droopy eyelids? Blepharoplasty is used to address loose, sagging skin around the eyes. The eyes are the focal point of the face and are often the first facial feature to be noticed. They are also an important part of the overall facial appearance and the first area to show signs of aging. Even the most beautiful eyes will not hide the effects of time. Any small improvement we can make to that region has a remarkable effect and can greatly enhance your overall appearance. 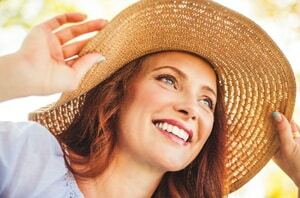 As we age, the effects of sun damage and age first appear around our eyes. Collagen beneath our skin diminishes and deeper wrinkles appear. Pull of gravity and loss of elasticity make the eyebrows and eyelids fall below their natural position, while laxity of the supportive ligaments results in protrusion of fat (bags under eyes). Even small imperfections such as wrinkles and droopy eyelids, saggy eyebrows and bags under the eyes can give the entire face a tired, uninterested and sad expression, and this may not reflect the way that you actually feel. Blepharoplasty, also known as eyelid lift, is an operation that removes the excessively loose skin as well as fat and tightens tissue around the eyes. The removal of this baggy, sagging skin results in a more youthful, bright and refreshed look for patients. As we age, skin naturally loses its elasticity, and can cause the skin above and below the eyes to sag, sometimes interfering with the patient’s ability to see. A sophisticated cosmetic surgeon does not use the same procedure technique on every patient. Phoenix blepharoplasty expert Dr. Ghafouri specifically designs the procedure on an individual basis, taking into account the patient’s specific needs, facial anatomy, and personal goals. By effectively communicating the goals of the surgery to the patient and listening to the patient’s aspirations, the best outcome can be obtained. Q: How much does blepharoplasty cost? A: The cost of blepharoplasty (or “eyelid lift”) depends on exactly what type of procedure is done. All the surgical procedures are individualized according to the patient’s needs. It may include excision of the loose skin only, or combined with fat removal or fat positioning. Tightening of the eyelid muscles (ptosis repair) may be performed at the same time. The upper eyelid surgeries are usually performed at our surgical suite at the office. The average cost is $2900- $3900. Q: How much does lower eyelid blepharoplasty cost? A: Lower eyelid blepharoplasty entails the removal of bags below the eyes, and correction tear trough from the lower eyelids and cheek doesn’t have a fixed price. It depends on exactly what type of procedure is used and the extent of the surgery. Different options include trans-conjunctival lower eyelid blepharoplasty, trans-cutaneous lower eyelid blepharoplasty with fat removal or repositioning. Additional procedures may be required to be performed at the same time such as canthoplasty and tightening lifting of the cheek. The average cost is $3500-$4800. Q: Am I a good candidate for blepharoplasty? A: In general, after age 40, people start to notice signs of aging around the eyes. The eyebrows and eyelids start to get heavy and begin to sag, bags develop under the eyes, and the surrounding skin becomes thin and crepe-like. If you have any of these signs of facial aging and are in good general health, you may consider eyelid surgery. A final determination is made after a full consultation and examination by your surgeon. Q: How is blepharoplasty performed? A: Blepharoplasty can be performed on the upper eyelids or lower eyelids. Many patients elect to have both surgeries combined to achieve more dramatic facial rejuvenation. In upper eyelid blepharoplasty, fine incisions are made along the natural individual eyelid creases and folds in order to keep the scars as invisible as possible. The loose skin is excised, the excess fat is removed or repositioned, and the muscles are tightened if indicated. Fine dissolvable sutures are used to close the incisions. In lower eyelid blepharoplasty, fine incisions are made inconspicuously along the lash line, extending to the natural laugh line of the lower eyelids. The loose fatty compartments are trimmed and repositioned, the muscle is tightened and a small amount of skin is excised. In patients with significant skin laxity on the lower eyelids, the suspensory ligaments are tightened as well (a technique known as cathoplasty). If the puffiness or bags under the eyes are primarily caused by excess fat, then the incision is made inside the lower eyelid (no skin incision) to access and remove the fatty compartments (trans-conjunctival blepharoplasty). In addition to blepharoplasty, some patients may require a cheek lift in order to smooth out the hollowness and contour deformities in the mid-face area. The above procedures may be combined with endoscopic forehead lift, laser skin resurfacing, dermal fillers or Botox injections. 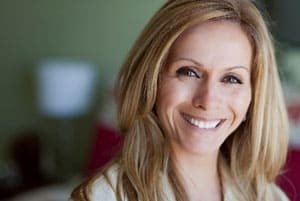 During your consultation with Dr. Ghafouri, the above options and techniques are discussed in detail and a treatment plan is tailored to meet your expectations and goals. Q: Is eyelid surgery painful? A: Eyelid surgery is associated with minimal discomfort. You may just need to take some Tylenol after surgery. Applying ice right after the surgery also helps with any pain or discomfort. Pain medications usually are not prescribed. Following the post-operative instructions is very important in reducing discomfort after the surgery. Q: Do I need to have a consultation with surgeon before considering surgery? A: Yes, it is extremely important that you meet with the surgeon face-to-face before surgery. After a thorough examination, your doctor will determine if you are a good candidate for surgery. He will explain how the surgery can help you, listen to your concerns and answer all your questions. The risks, benefits and alternatives will be explained. It is important that we understand your goals and meet your expectations. Together, we will determine which procedure is right for you. At Arizona Oculoplastic Specialists, we believe wholeheartedly in patient education. We will do our best to meet the patient’s realistic expectations. Q: What type of anesthesia is used for eyelid surgery? A: The procedure is performed under local anesthesia with IV (intravenous) sedation. When you arrive at the surgery center, appropriate monitoring devices will be applied to monitor your heart, blood pressure, breathing, etc. A board certified anesthesiologist will administer an IV sedation that puts you into a “twilight” sleep. Local anesthetic will be injected into the eyelid skin to numb and “freeze” the surgical area. Most patients do not feel or even remember the injections. It should be noted that local anesthesia is much safer than general anesthesia and is also associated with a faster recovery. However, sometimes oral sedation is given instead of IV sedation. For maximal patient safety, most surgeries are performed in a State- and Medicare-certified ambulatory surgical center. Level of sedation can be measured and adjusted depending on the nature of the surgery and the patient’s needs. Q: How is the recovery from eyelid surgery? A: You should expect some swelling or bruising around your eyes right after the surgery. The amount of swelling and bruising is different from patient to patient. You will be given specific pre- and post-operative instructions in order to help reduce the amount of swelling and bruising. Eyelid skin is very vascular and it is actually the thinnest skin on your body, so even a small amount of blood will show under your skin. Approximately 80 percent of swelling and bruising will disappear after the first two weeks of surgery. You may apply makeup to hide the bruising two to three days after the surgery. The stitches self-dissolve after one to two weeks, so they do not need to be removed. We recommend that you take four to five days off work. This varies from patient to patient and depends on the nature of the surgery and actions are taken. The swelling usually peaks on the second day after the surgery. It is important to rest as much as possible (be a “couch potato”) for the first two days after the surgery. You may return to normal activity shortly thereafter. Heavy exercise and strenuous activity should be avoided for the first 10 days after the surgery. Please see our see pre- and post-operative instructions for additional guidelines. Q: How long does the actual surgery take? A: It varies depending on the surgical procedure as well as the number of procedures performed at the same time. On average, bilateral upper eyelid blepharoplasty takes about 20 to 30 minutes and bilateral lower eyelid blepharoplasty about 60 minutes. You need to arrive at the surgery center approximately one hour before the surgery. You will be discharged about 30 to 45 minutes after the surgery. Q: Is there a noticeable scar? A: The amount scarring varies from patient to patient. In general, the scarring is very minimal. In the upper eyelid, the scar is well hidden in the eyelid crease. In the lower eyelid, the scar is hidden just beneath the eyelash line or the inner surface of the eyelid, so it is not very visible. It takes several months for the scars to undergo remodeling, thinning and fading until the final outcome is achieved. Q: What is the difference between brow lift and eyelid lift? A: With aging, the eyebrows migrate below their normal position. It often causes excessive eyelid folds and lateral hooding. Most patients who are good candidates for a blepharoplasty also have some increase of brow ptosis (droopiness). A brow or forehead lift can be performed simultaneously with the eyelid surgery. During the course of consultation with Dr. Ghafouri, he will determine if you are a good candidate for brow lift surgery. Q: What is an appropriate age for cosmetic eyelid surgery? A: The first signs of aging start around eyes because the skin in this area is the thinnest skin of the body and goes unprotected by sunscreen. Exposure to the sun, skin type, ethnicity and hereditary factors all factor in. Most patients start to notice signs of aging around their eyes in their 40s. Due to the minimally invasive nature of cosmetic eyelid surgery and its long-lasting effects, many patients undergo eyelid surgery before or instead of having full face or neck lift. Q: How long do the effects of blepharoplasty last? A: Effects of the surgery will last for the rest of your life. The vast majority of patients undergo eyelid surgery only once in their lives. Q: How commonly is eyelid surgery performed? A: More than 200,000 people underwent cosmetic eyelid surgery in 2010. Overall, it is the second most popular cosmetic surgery after liposuction. This is the most common surgical cosmetic procedure for all patients over the age of 40. Q: How can a “surgical” or “surprised” look be avoided after blepharoplasty? A: Typically, a “surgical” or “surprised” look occurs when too much skin and fat are removed from the eyelids, rather than repositioning the tissue to provide a more youthful and natural appearance. At Arizona Oculoplastic Specialists, the surgery is tailored on an individual basis, taking into consideration the patient’s gender, skin type and facial contouring. Experienced surgeons avoid performing the same standard procedure on every patient. Q: What are the possible risks and complications of the surgery? A: As with any type of plastic surgery, general risks include: infection, poor healing, scarring and bleeding. The risks specifically associated with blepharoplasty include dry eye, photosensitivity, eye irritation and visual changes. Please read the informed consent form for a more detailed discussion. In the hands of an experienced and specialized surgeon, eyelid surgery is very safe with minimal risk of complications. Q: Why should I have Dr. Ghafouri perform my eyelid surgery? A: As an oculoplastic surgeon, Dr. Ghafouri specializes exclusively in cosmetic and reconstructive eye plastic surgery. Dr. Ghafouri’s focus on this particular area of the face sets him apart from other plastic surgeons or cosmetic surgeons who operate on more broad areas of the face and body. The eyelids serve a physiological function. They are not just a piece of the skin. Eyelids are very complex and dynamic structures that protect and nurture the eyes. Because of Dr. Ghafouri’s advanced training in ophthalmology and plastic surgery, he is best qualified to perform these types of surgeries. Dr. Ghafouri is well respected within the community and trusted among his peers. He frequently performs eyelid surgery on doctors and their families. If you would like to learn more, schedule a consultation for eyelid surgery in Scottsdale or Phoenix with Dr. Ghafouri.